SIXER JO JO EMBIID MANS UP AGAINST THE BEST BIGS OF THE GRIZ! Last night’s Sixers-Grizzlies game was a wipeout — a 121-91 loss in Memphis — but once again Joel Embiid strutted his stuff. Offensively, he competed physically enough to bait both Marc Gasol and Zach Randolph into personal fouls. 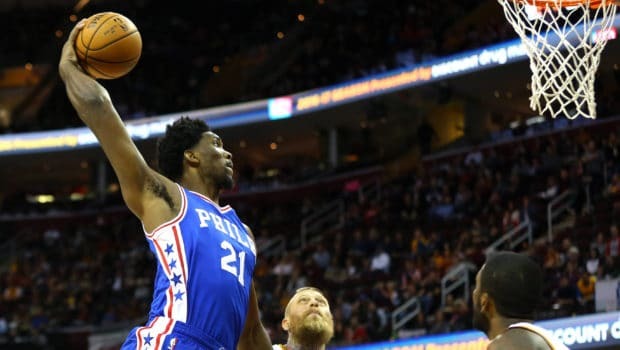 Embiid’s reward was frequent trips to the free throw line, where he went 7-for-8. Embiid ended with 13 points (3-7 FG), a new pre-season high in scoring for the second game in a row. Embiid’s involvement was limited to the first half, as it has now been in all four of the Sixers’ outings. He officially logged 12:45 of playing time. Another significant development Tuesday was that Timothe Luwawu-Cabarrot delivered his most productive showing to-date. 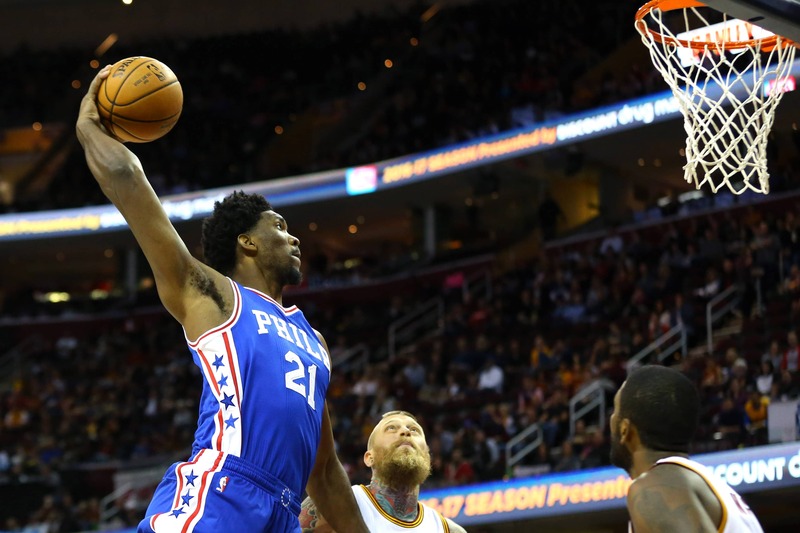 Not only did he match Embiid’s team-best point total, he paced the Sixers with nine rebounds. Selected 24th overall in the draft this past June, Luwawu-Cabarrot helped spark a revitalizing 11-0 run that allowed the Sixers to erase a 18-point first half deficit, and head into intermission with the score tied at 53-53. Prior to Tuesday’s game, Brown revealed that Gerald Henderson’s minute budget had been increased to approximately 15 minutes. The Episcopal product ended up getting 16 minutes, 15 seconds in all, and looked smooth throughout the evening. He netted 10 points (3-5 fg, 1-2 3fg), knocking down four jump shots 18-feet or farther from the rim. Brown was eager to get a longer look Henderson, who signed with the Sixers in free agency. “What I’ve seen on the court has been limited,” Brown said. “He’s only been allowed to play 12 minutes. 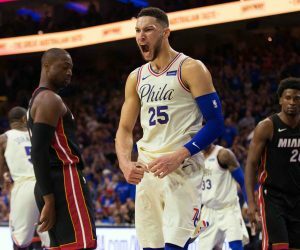 Like Saturday’s game in Cleveland, eight members of the Sixers’ 20-man pre-season roster didn’t play Tuesday, mostly due to injuries. Dario Saric, however, was held out of Tuesday’s match-up in order to rest. 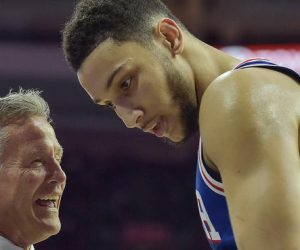 The Sixers were again without Jahlil Okafor (right knee) Tuesday. He has been on the shelf for all four of their exhibition contests. Nerlens Noel (left groin) and Nik Stauskas (left hamstring) both missed their third consecutive game, while Brandon Paul’s (oblique contusion) absence extended to a second tilt. 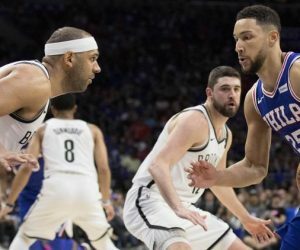 Brown said during his pre-game media availability that Stauskas and Paul could return as soon as Thursday, when the Sixers visit Washington. Next PHILLY GUY TONY CARR AN IMPACT FRESHMAN AT PENN STATE!